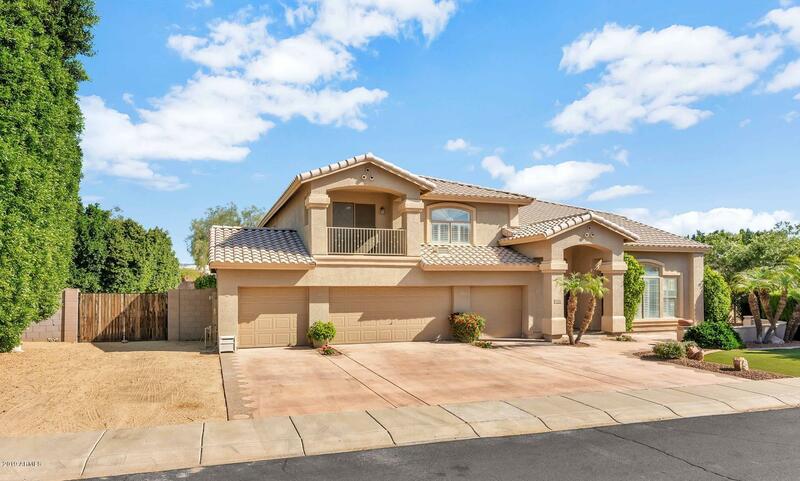 All CLEARVIEW ESTATES homes currently listed for sale in Peoria as of 04/24/2019 are shown below. You can change the search criteria at any time by pressing the 'Change Search' button below. "YOU CAN HAVE IT ALL with this AMAZING HOME in the FANTASTIC LOCATION OF CLEARVIEW ESTATES*Close to everything, but still TUCKED AWAY with NO BACKYARD NEIGHBORS*SOARING CEILINGS, ENERGIZING NATURAL LIGHT through PICTURE WINDOWS, SHUTTERS, and upgraded tile, FOUR CAR GARAGE, NEWER A/C UNITS*Your KITCHEN has DOUBLE OVENS, ABUNDANT RAISED PANEL CABINETS, and GAS STOVE*Your OWNER'S SUIT is ON MAIN FLOOR and has WALK IN CLOSET WITH ORGANIZERS*Upstairs has FOUR LARGE BEDROOMS*Build in CABINETS with MU"